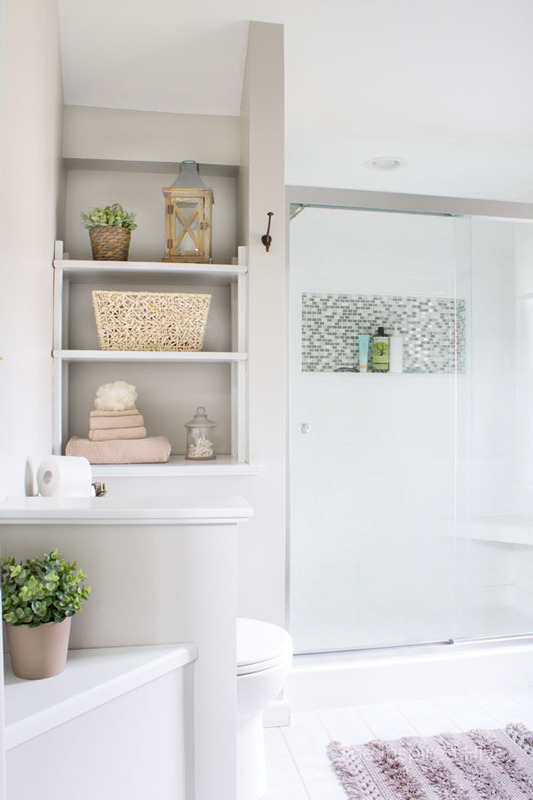 Any time we have moved into a new home and I start brainstorming how I am going to overhaul each space, I create a plan for the order in which I will tackle the rooms. It makes logical sense to me to tackle the main living areas first since those are the spaces that guests see and where our family spends the majority of our time. So that's what we did in our last house. We updated the entire downstairs and saved our bedrooms and bathrooms for last. 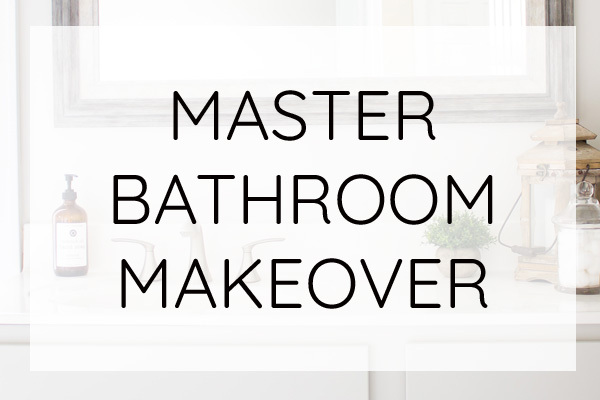 Our master bathroom was the very last room on our list, and we ended up updating it right before we listed our house for sale, so we never even got to enjoy it! When we bought our current house last summer, I decided we needed a new plan. We deserve for our personal spaces to be just as nice as our gathering places, right?! 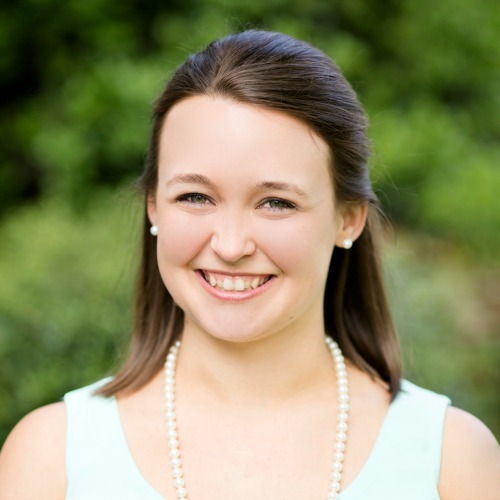 This post is in partnership with HomeRight. All opinions are my own. The master bathroom in our new-to-us house isn't quite as horrid as the one in our last home. I honestly don't know how we spent four years with baby-poop-green walls, an ivy printed back splash, and a shower that was literally falling apart. 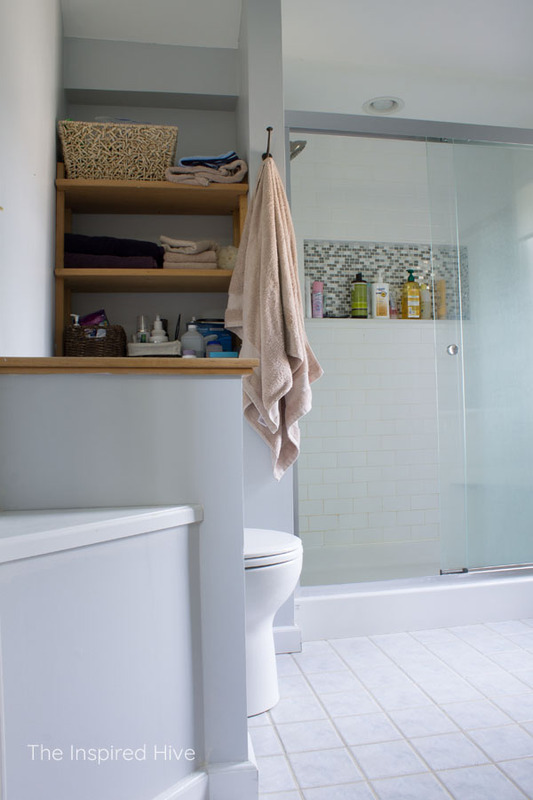 Thankfully, this bathroom has good bones and really just needed some cosmetic updates to make it feel more like us. 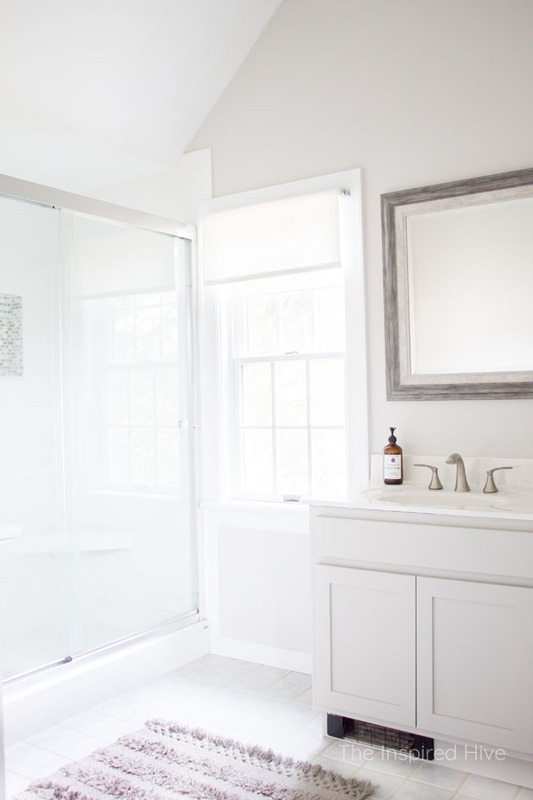 We have some bigger long term plans (like my daydream for a big soaker tub! ), but for now we are making some super simple and very affordable updates to make it fit our tastes. 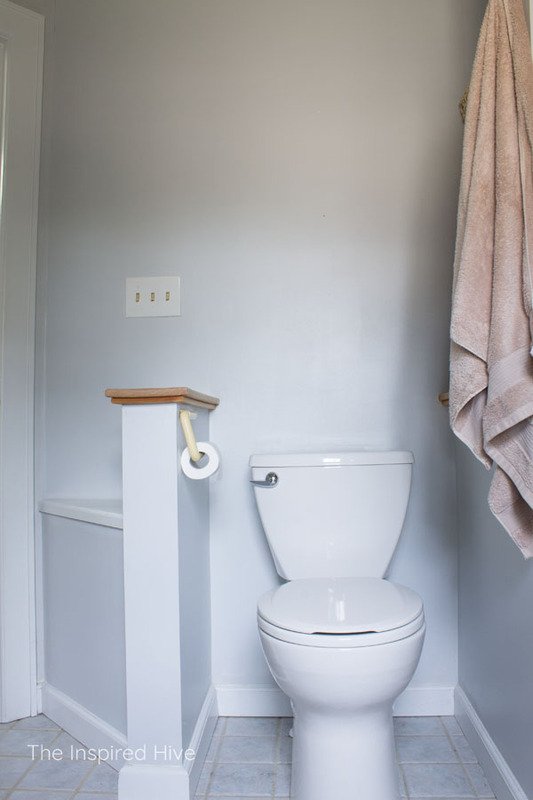 Then we'll focus on those important gathering spaces downstairs before we revisit the bathroom for a larger renovation. 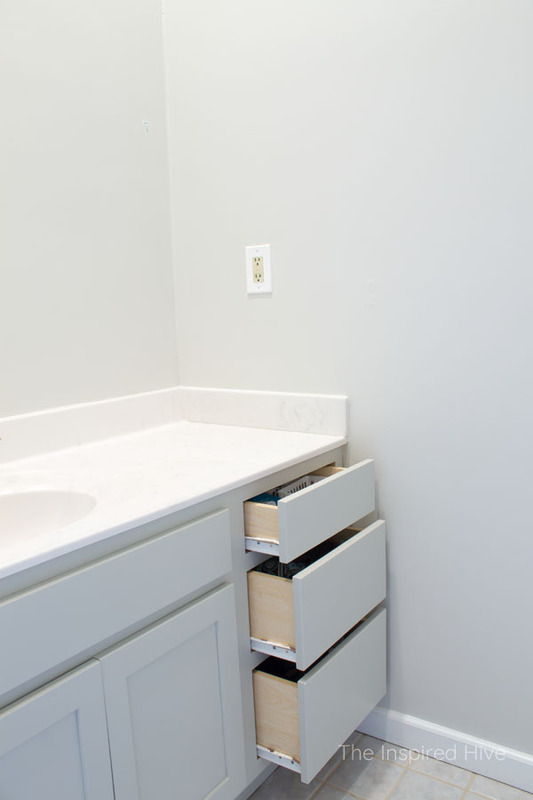 The bathroom has a vanity with shaker style cabinets. It's really not so bad, but the stain of the wood just isn't our taste, and it's a little boring, so I think some hardware would be a nice touch. 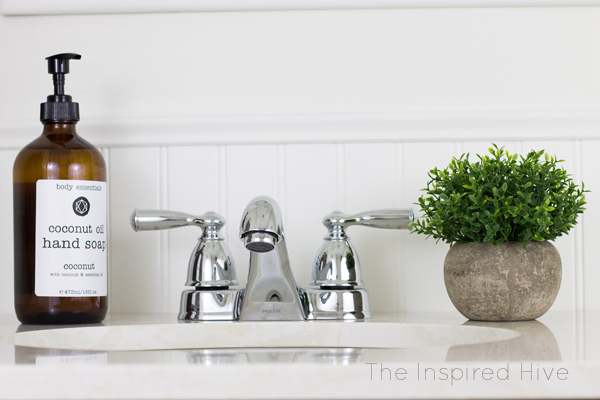 The countertop and faucet aren't great, but they aren't terrible either. We will probably leave them alone until we do a bigger overhaul. 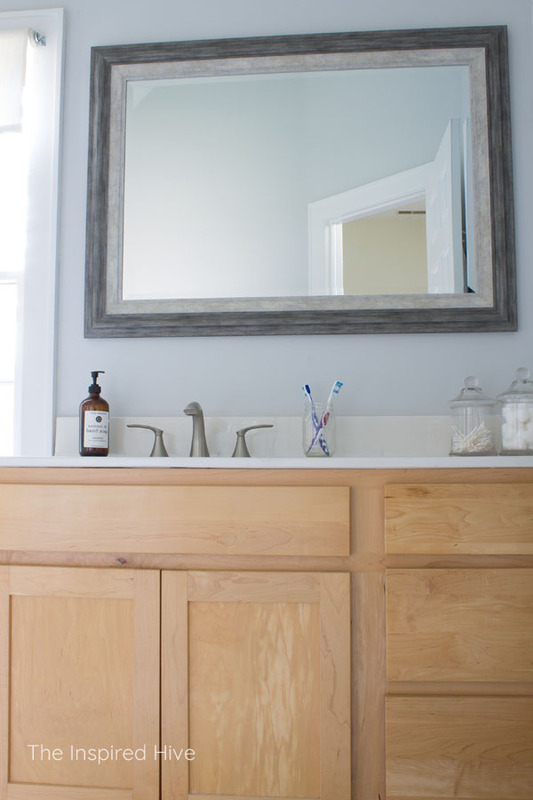 I actually really like the mirror and think it will make a great statement piece for the plans I have. The wall color is neutral, buttttt it's a little too cool for our style and makes the room feel more modern. It's easy to warm up the whole feeling of the room with paint. The roller shade on the window is going to be the death of me 😂 It has fallen on my head multiple times when trying to open it! I have the perfect new window treatment ordered and can't wait for it to arrive so I can share it with you!!! 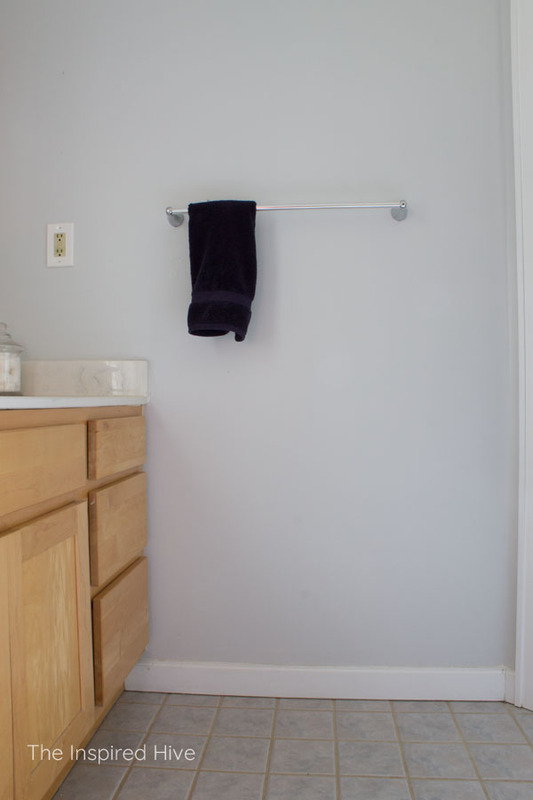 This towel bar is really awkwardly placed, and there are a lot of hooks behind the door and one by the shower, so the towel bar really isn't necessary. This house is full of built ins. 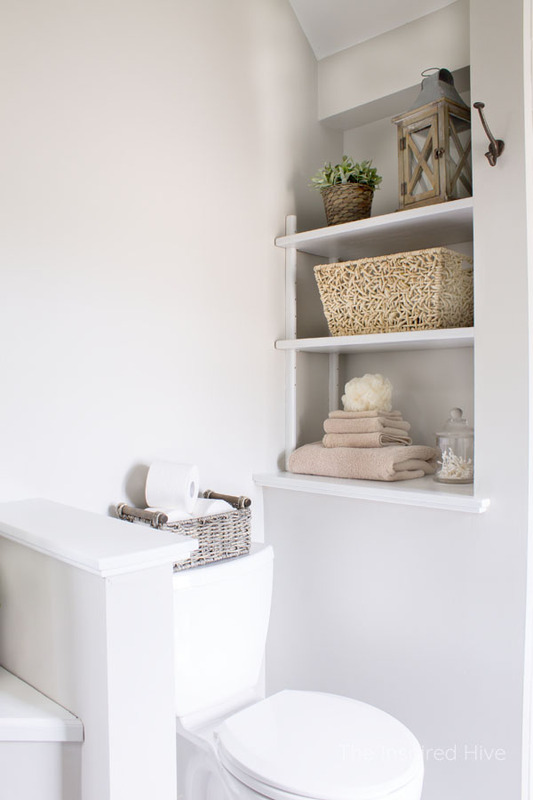 I'm not a huge fan of open shelving for a bathroom because we of course have lots of hygiene products, cleaning supplies, etc. that just aren't so pretty. But we'll give it a little facelift for now and then eventually come up with a better solution. I reallyyyyyy want to get rid of this little wall by the toilet. I don't understand the point of it.... privacy maybe? It takes up valuable space. For now, it's getting some fresh paint, and then eventually we will remove it so that we can put a laundry hamper or small medicine cabinet here. Like I said, I've been dying to tackle this space and make it feel more us, but y'all I was absolutely dreading painting this room! Did I show you these tall ceilings?! 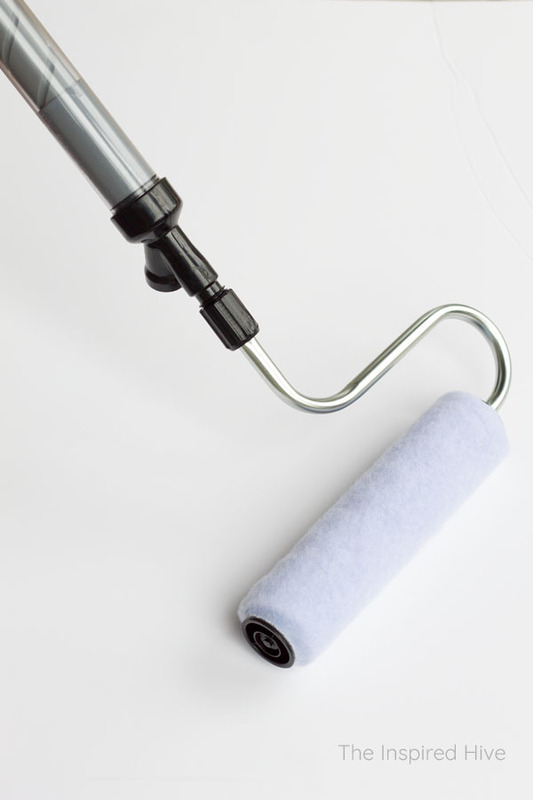 Climbing up and down a ladder over and over to refill my roller sounded like no fun. And how on earth was I going to do the cutting in around the ceiling? Ugh. And aside from the ladder, I'm a busy momma who doesn't have time for painting a room to turn into a long process! I need quick and easy! 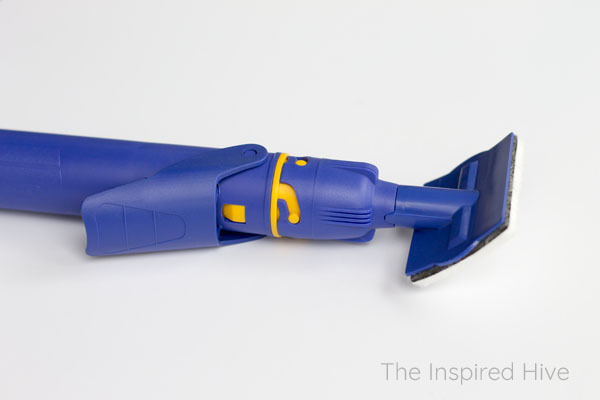 I met my new favorite tool for cutting in - the HomeRight QuickPainter (buy it here). I had tried edging tools before and they made a huge mess. 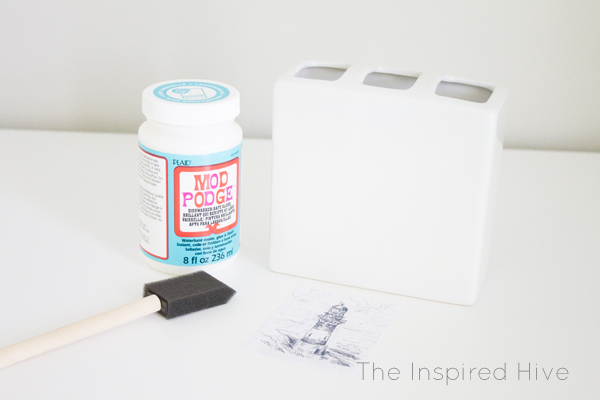 But this little gadget doesn't require dipping the pad into paint. 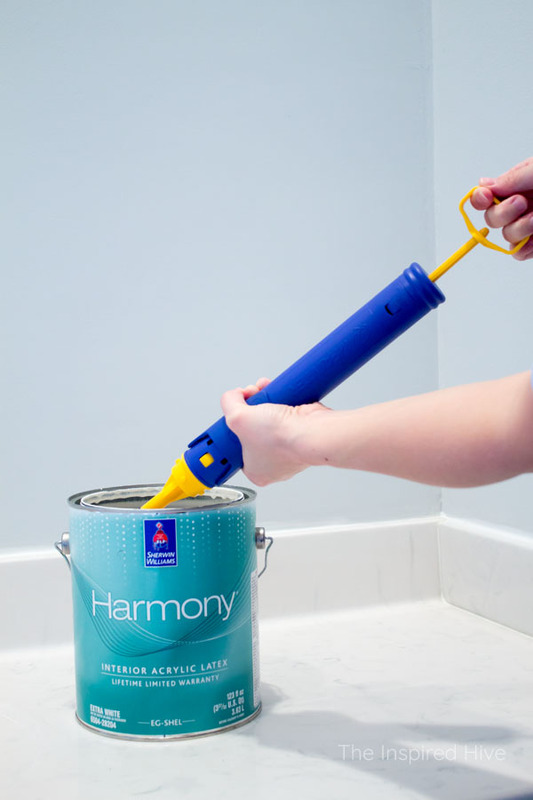 It stores paint in the handle, and you can slowly release the paint as needed. I only filled it twice to do the entire space! And I spent so much less time on the ladder than if I was trying to cut in with a brush. Also I have to admit, I am quite the perfectionist when it comes to painting. I don't tape off the ceiling when I cut in. I slowly cut in with a brush being careful to keep a straight line, and I usually do two coats. YOU GUYS! The QuickPainter gave me straight lines and I only needed one coat. This thing seriously saved me so many hours. 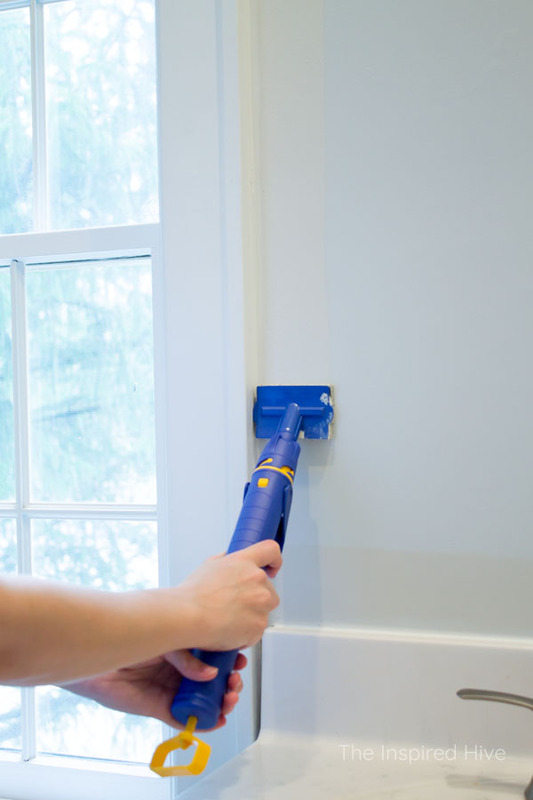 If you hate cutting in, you need to buy the QuickPainter. 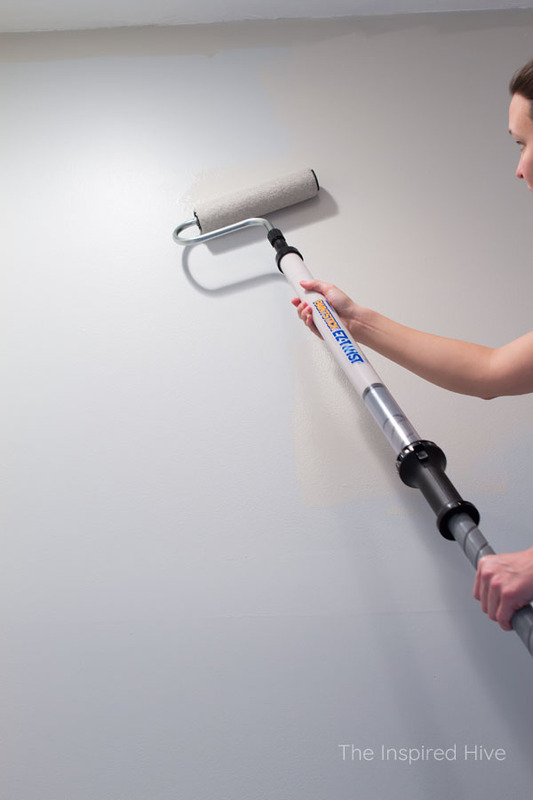 The PaintStick EZ-Twist is like a long handled roller, but it also holds paint in the handle. 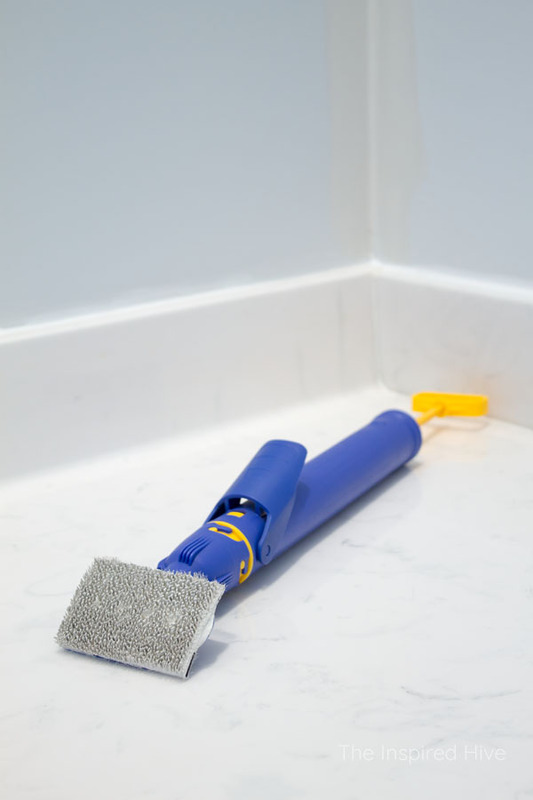 It completely removes the need for a paint tray, and again, it limits the number of times going up and down the ladder to refill the roller and/or tray. 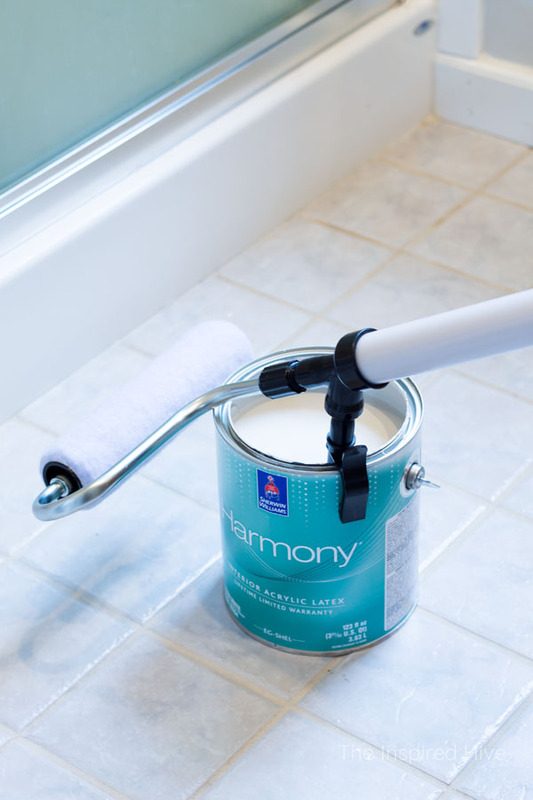 It's super easy to load with paint and super easy to use. I had the entire room finished in no time. 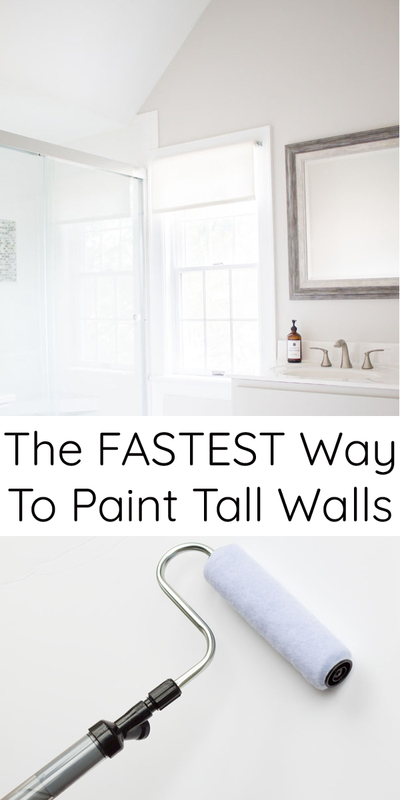 If you have tall walls you need to paint, these tools will seriously make your life easier! 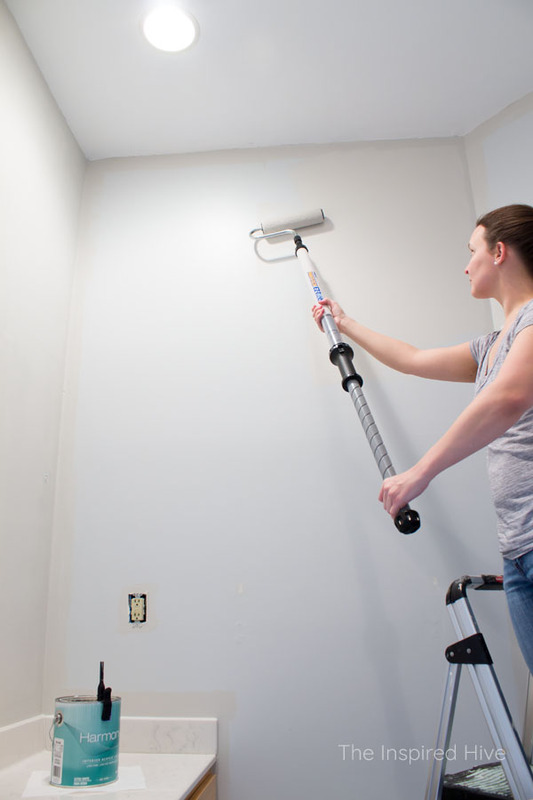 Even if you don't have tall ceilings, you can still save a lot of time painting a room with these tools. After painting the walls, I decided to paint the vanity cabinets too. 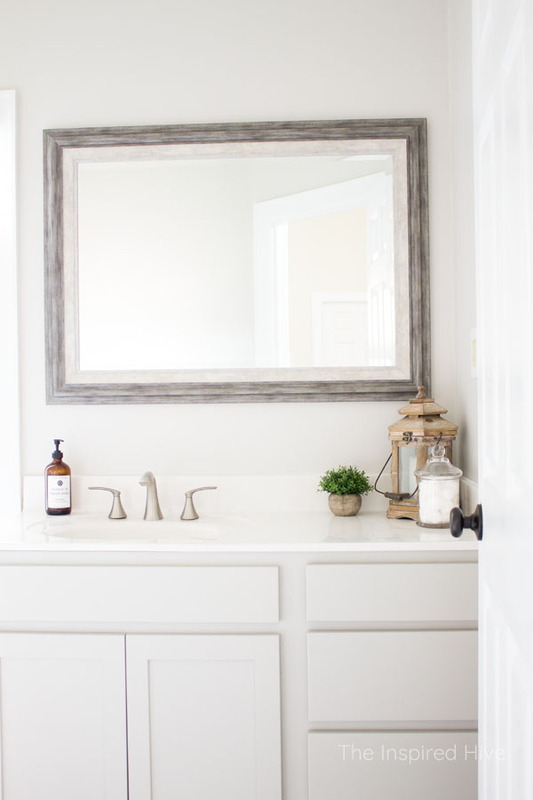 I actually planned on painting them a darker taupe color using chalk paint and varnish (it held up well in our boys' old bathroom), but I couldn't find the color I was hoping for. 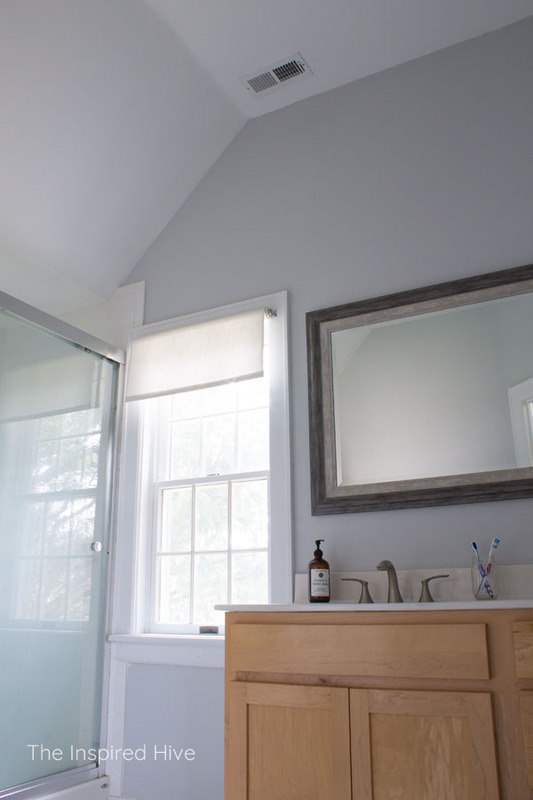 I ended up using some latex paint I had on hand in Sherwin-Williams Mindful Gray. It's a couple shades darker than the wall color, so I think it flows nicely. 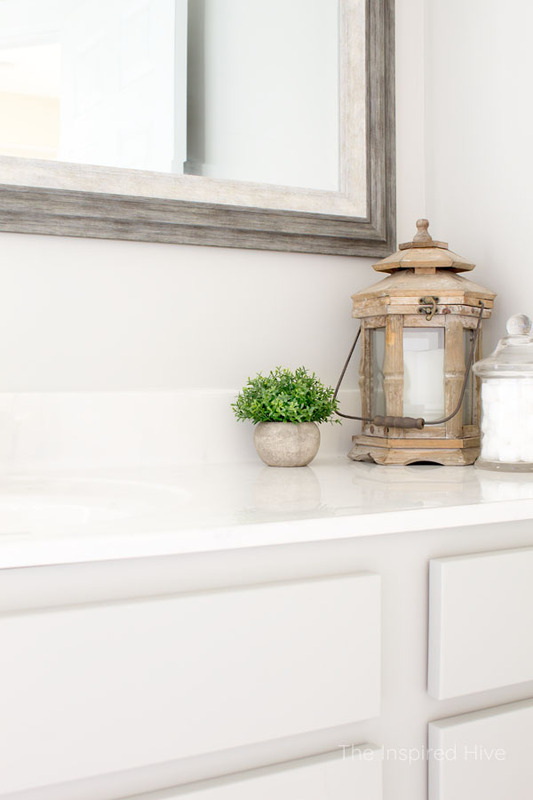 Normally I would use a tough enamel paint on cabinets like I did in our old kitchen. Since this is just regular old wall paint, I am going to seal it with a strong top coat. I haven't done it yet because I am debating whether to give the cabinets a more aged look with some dark wax or glaze first. I haven't ordered the hardware yet, so I will probably see how that looks before I decide, but I would love to know your thoughts! I totally forgot to take process pictures, but I also painted all of the stained wood on the shelves and half wall white! Alrighty, here's what just a little bit of paint accomplished! I am always amazed by the power of paint. Paint can change the entire feel of a room. 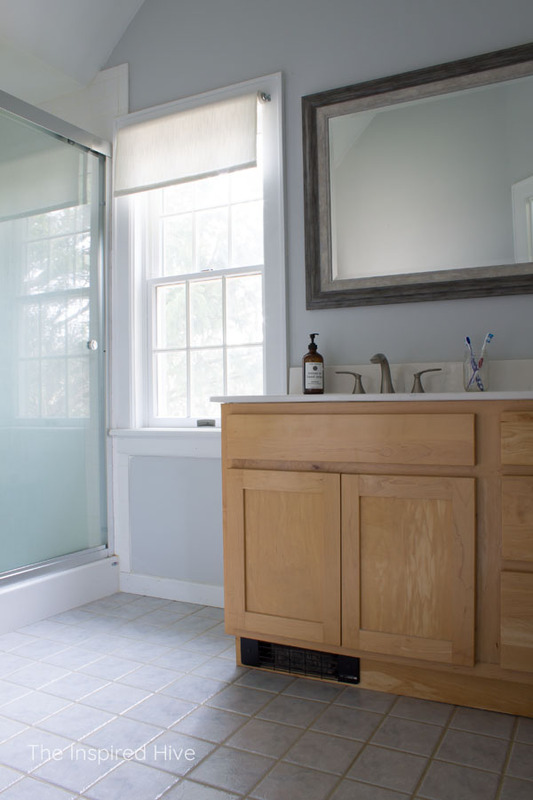 What was once very contemporary now has warmth and subtle farmhouse charm. A few simple updates are all it took to make this room feel more like home for us. 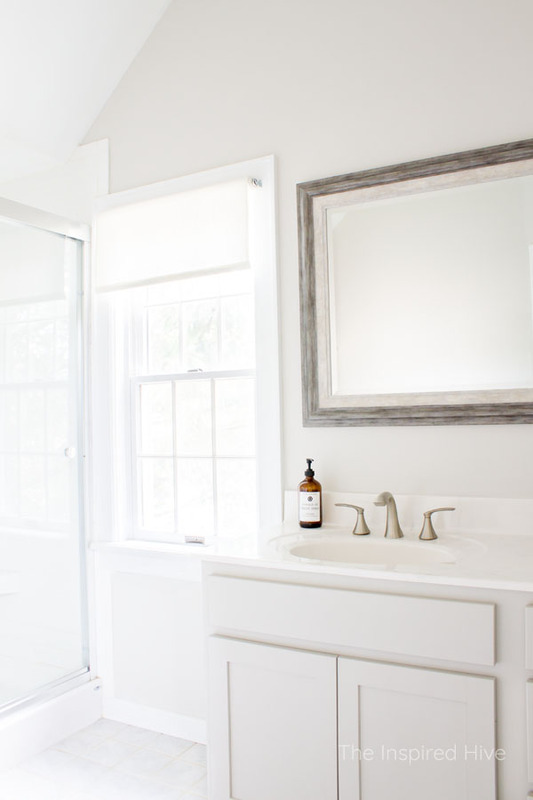 I want to know your thoughts on our painted bathroom vanity! Should I leave it as is (plus new hardware) OR should I add a dark wax or glaze? Help me decide!